I drew up our first mirrorless blog list back in 2013 as a homage to the many great writers I’d come across since starting MirrorLessons, and soon followed it up with a second less a year later. 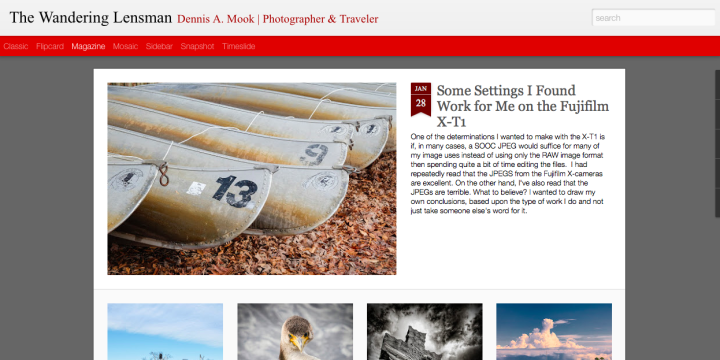 As with any hot topic, it seems that the more popular mirrorless cameras become (especially as viable tools for work) the more interesting blogs sprout up across the Internet. Recently, a number of really good blogs have come to our attention, so we felt it was due time for the time the third edition of our list. It is an eclectic mix of newcomers and veterans whose reviews and photographs have been inspiring photography lovers for years. As always, if you know of an interesting blog where mirrorless cameras are a regular topic, drop us a line in the comments section so we and our readers can check it out! Mirrorless Journey by Eric Cote is by far our favourite newcomer, although in actual fact he isn’t a stranger to the blogging world at all. Before starting his English mirrorless blog, he would (and still does) write in French about his Lightroom presets and the mirrorless world. A French-Canadian through and through, Eric’s reviews are adorned with images of his beautiful native Quebec and his day-to-day life as a father of three. His reviews, too, are well-written and very personal. You can really tell he loves mirrorless cameras as much as we do, and that he speaks from the heart. If you’re a Fuji user and haven’t yet heard of Fuji vs. Fuji, you must be living under a very large rock! Jokes aside, the founder Donovan Bond has in just over a year and a half created an important reference for the Fujifilm community, featuring dozens of extremely detailed and well-written comparisons between X series cameras and lenses. Whenever I feel the need to check or confirm something about a Fuji camera or lens, Fuji vs. Fuji is the first site I turn to. Donovan is also the co-founder of FujiTuesday, a Fuji meet-up group that holds photo walks nearly every month. 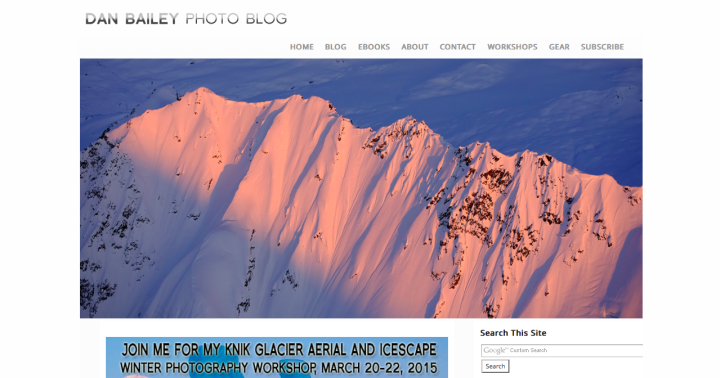 The Wandering Lensman is a blog we only just recently came across. The author, Dennis A. Mook, doesn’t review cameras in the traditional sense. 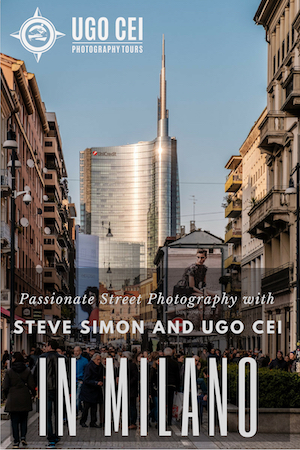 Rather he writes personal essays about how the systems he uses benefit his personal photography while providing tips and tricks along the way. Though he still uses a Nikon D810, he is an owner of both an Olympus E-M1 and Fujifilm X-T1 and frequently writes about both systems. 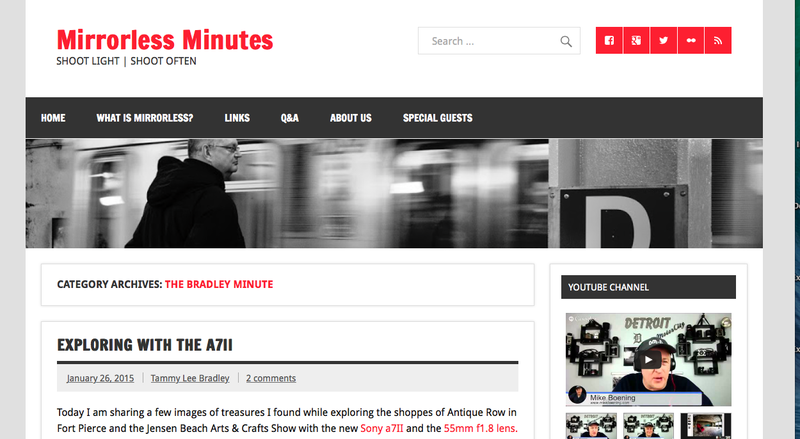 Mirrorless Minutes is a brand new website that was started up by two popular personalities on the web–Olympus Trailblazer Jamie A. MacDonald and street/urban photographer Mike Boening. Though it is still in its early stages, there are two sections you should definitely check out. The first is their YouTube channel where Jamie and Mike discuss the latest happenings in the mirrorless world with a focus on Olympus. The second is The Bradley Minute where popular photographer Tammy Lee Bradley shares image-rich reviews of the latest mirrorless cameras. So far, she has tried and reviewed the Samsung NX300, Fujifilm X-T1 and Sony A7ii, and continues to expand her reviews to other brands and cameras. Sans Mirror, run by the acclaimed Thom Hogan, is an enlightening mix of camera reviews, tips, advice, frequently asked questions, and in-depth and occasionally controversial opinion pieces. His reviews are enjoyable (though I do feel he could include many more image from his personal collection) but what really draws in readers are his opinion pieces and witty writing style. If you are into good philosophical discussions, Thom is your man. 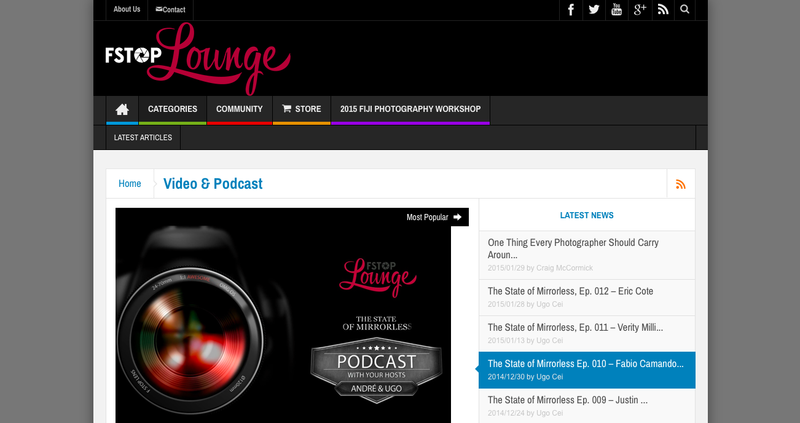 F Stop Lounge as a website does not limit itself to talking about one type of camera, but they do have a section dedicated specifically to mirrorless cameras called The State of Mirrorless. It is a YouTube channel hosted by Italian landscape photographer Ugo Cei where important personalities in the mirrorless world are interviewed. Just recently, Mathieu joined the team as a co-host alongside Andre Appel. So far, they’ve interview over twelve industry professionals including Gordon Laing of CameraLabs and famous street photographer Thomas Leuthard and Valerie Jardin. Sam Dorado of Samgold Photos spends most of his life on boats due to working in the offshore industry but that doesn’t stop him from writing wonderful reviews of Micro Four Thirds products. Whereas most gear review website focus on the latest and most powerful gear, Sam takes a different approach; most of his reviews deal with inexpensive, obscure and niche products. He loves to discuss generic focal reducers, macro extension tubes, Lomography lenses, body caps, CCTV lenses, and double exposures, and gets great results with everything he tries. Couple this with his very enjoyable writing style and you have the perfect review blog! Despite being an adventure, action and lifestyle photographer who works in some of the most extreme regions of the globe, Dan Bailey somehow finds time to review his gear as well. Being a Fuji X Photographer, all his reviews revolve around the latest Fuji gear, and he often receives products to test weeks (or even months) before the official release date. His reviews are entertaining because they test the cameras in extreme settings, including cold weather and wet conditions, and show parts of the world most of us will never visit. Another recent discovery is Vassilios Zacharitsev’s blog Eyes Unclouded where, like Samgold Photos, he discusses unique topics such as using manual lenses, legacy glass and focal reducers on Olympus and Fujifilm cameras. Opinion pieces make up the bulk of his articles, with topics that range from the full-frame debate to switching to a new system. I’ve only just begun reading Vassilios’s work but I like what I’ve seen so far, and I’m sure you will too. I find Eugene Fratkin’s photo blog interesting as he has taken many of the “less-popular” mirrorless systems under his wing, such as Sigma, Ricoh and Nikon 1. That said, he talks about pretty much every system except the more recent Micro Four Thirds models and always includes many sample images from his own collection. Once again, this blog is a more recent discovery, so I am keen to see how it develops especially now that he updates it more frequently than before. 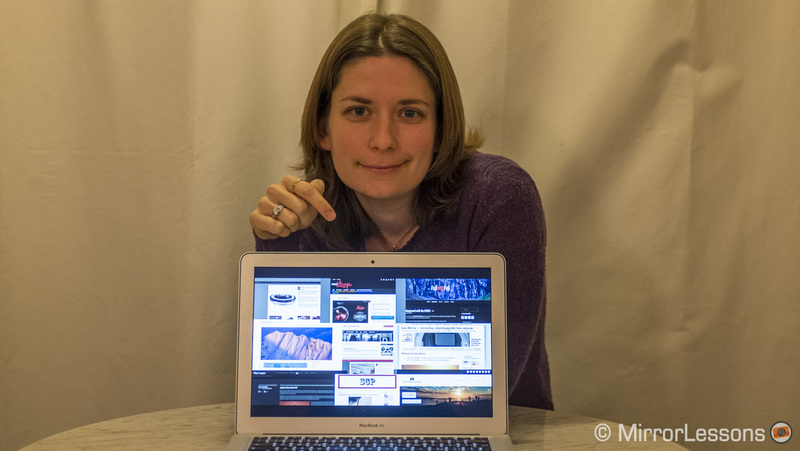 Which of these mirrorless websites do you already follow? Do you have a site to recommend to our readers?